Ideally, your business should run smoothly, with every part working together in harmony. 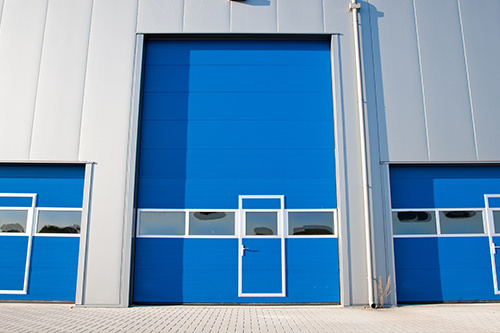 There’s no reason the garage door at your office or facility shouldn’t be just as smooth. A commercial garage door that’s damaged or performs erratically sends a bad signal about the professionalism of your company. Conversely, maybe you’re having your work space built or remodeled, and you need just the right door to go with your decor. For many New Jersey businesses, the garage door is a prominent feature, and a well-chosen commercial garage door sends an unmistakable message of competency and class. At Grand Enterprises, we’re proud to provide a highly trained team that’s dedicated to commercial projects. If you’re in need of repairs, our garage door company will get your door fixed quickly, correctly, and without disrupting your business. In the vast majority of cases, we’re able to finish the work within one appointment since our technicians are supplied with a wide variety of parts and accessories. For installations, we offer a wide variety of name brands and styles, and you’re sure to find one that will compliment your professional space. Whether you’re looking for a basic style, rustic, modern, or something unique, we’ll work with you to find just the right door. With new doors delivered to our warehouse twice a week, we’re sure to have the most popular models in stock. You’ll find that our garage door prices are fair and reasonable, and along with numerous promotions and discounts, we’re often far less expensive than the competition. Along with that, we’re proud to offer top-of-the-line customer service. By listening to the needs of our customers, fixing the root of the issues and arriving prepared & on time, we depart every job and leave you with a flawlessly functioning commercial garage door – and a smile. If you have questions, or you’re ready to schedule a service appointment, contact us today. The owner Andrew was honest, fair and reasonably priced. Boris did a fantastic job. Very clean and very efficient. I am pleased with the outcome and would highly recommend this company. Well equipped, had them do an opener in an industrial 12′ garage door and they showed up with a big truck and trailer with a scissor lift. Was impressed.